In case any is unware, these will be South Korea's second Olympic Games and its first Winter Games; Seoul hosted the Summer Games in 1988 [a year after JKS was born]. Pyeongchang will be the third Asian city to host the Winter Games; the first two were in Japan, at Sapporo (1972) and Nagano (1998. 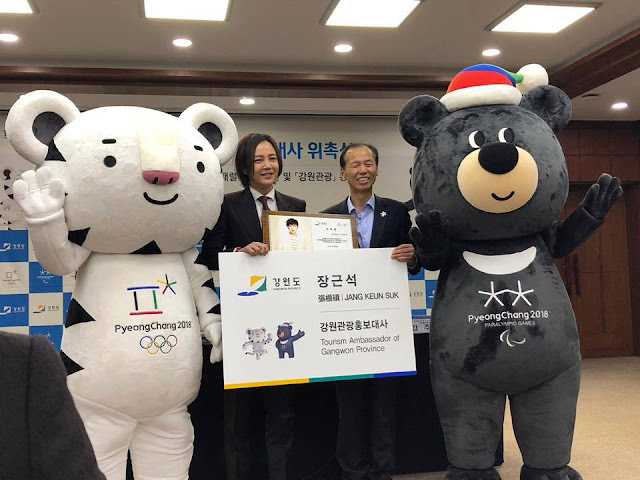 As a result, JKS is enormously proud that his country was chosen to host the 2018 Winter Olympics and Paralympics Games. He's often spoken about the 1988 Summer Olympics and how proud he is that So. Korea hosted those games. But I suspect that So, Korea's hosting the 2018 Winter Games holds a special meaning for him.It represents a recognition of HIS country worldwide and possibly the last time So. Korea will hozt the Olympic Games in his lifetime. His pride for his country must be soaring! So, being asked to represent So. Korea as a Public Relations Ambassador must fill him with enormous pride in his country, even as he seeks to use his international fame to fill the 40% of unsold seats at the games. So. Korean organizers are hoping, with the help of JKS, that Japanese tourists will fill the remaining open seats and, thus, make the Games both a financial success for So. Korea as well as an international success. Let's hope both So. Korea and JKS succeed in their goals. Certainly, So, Korea can use the positive publicity it should get as well as the recognition of its almost 30-year old transformation from poverty and dictatorship into the highly prosperous, democratic country that it is today. So. Korea deserves a loud round of cheers from the international community and every seat sold out at the 2018 PyeongChnag Olympic and Paralympic Games! 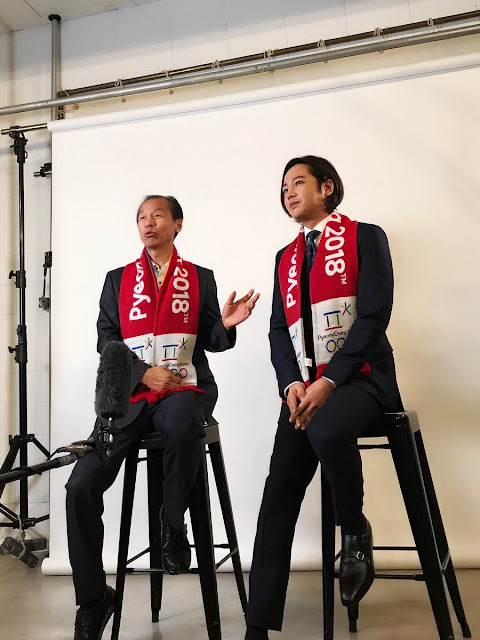 English translation as of today: The interview on NHK News Watch 9 [a Japanese Channel] was broadcast on Jan 9. JKS discussed the Pyeongchang Olympic games & Paralympics with the governor of Gangwon Province. The video of JKS' interview with NHK.